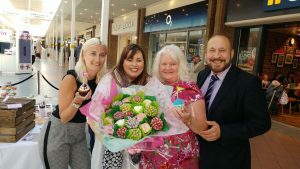 Cramlington residents were invited to show their backing for the Alzheimer’s Society Cupcake Day by paying a visit to a cake display and stall in Manor Walks. There was fun and celebrations in town today when the Seven Oaks play opened after a £100,000 refurbishment. Local councillors Mark Swinburn and Loraine De Simone arranged for responsibility of the play area to transfer to Cramlington Town Council so it could be maintained in line with other parks in the town. 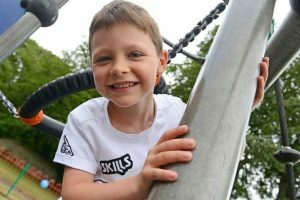 Funding was then sourced and the council consulted play area experts Kompan to come up with a refurbished area that was inclusive for children of all ages ages and ability. 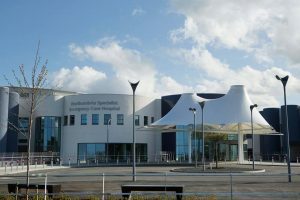 Northumbria Healthcare NHS Foundation Trust has applied for planning permission to extend its Northumbria hospital at Cramlington and expand its services for patients not requiring an overnight stay. 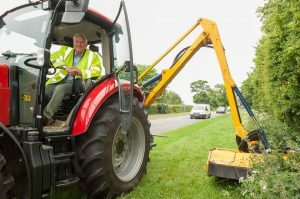 This year’s programme of verge cutting is getting underway as the county gears up for the main tourist season. Vital grass cutting along highway verges will be taking place across Northumberland over the coming weeks.